Partnering with our team at Rosemont Media, Chester County Eye Care recently developed a highly informative, aesthetically-pleasing website intended to position itself as a trusted leader for vision correction and ocular care in the Chester County, PA area. The customized Internet marketing package Rosemont Media put together for the practice included a responsive website design (complete with homepage parallax and fixed-background scrolling), medical search engine optimization (SEO), easy-to-follow navigation, an educational blog, a password-protected section for referring doctors, and much more – all of which is accented by a clean layout and crisp imagery for a positive visitor experience. 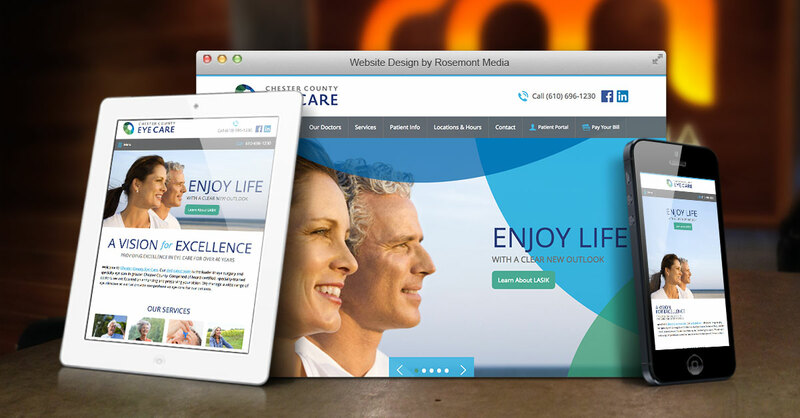 To check out the type of high-quality website Rosemont Media can design, build, and maintain for your medical practice, please visit www.chestercountyeyecare.com.